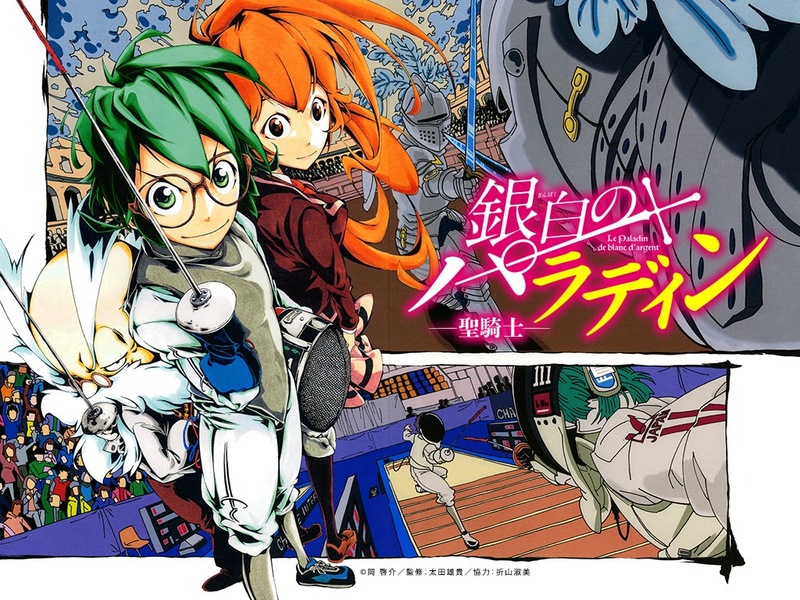 Ginpaku no Paladin - Seikishi by Keisuke Oka started in double issue 22/23 of Weekly Shonen Sunday. An criminal incident occurs on a train. A small good-hearted boy who could not move in this incident wants to help and save everyone. A mysterious old man suddenly appears and using brilliant swordplay is able to fight the the criminals off . The boy is moved by the old man's majestic figure and becomes determined to be strong like him. This starts his learning of fencing as he becomes the old man's disciple. This is an unique and interesting series as most swordplay manga series look at the traditional Kendo (Kenjutsu) sword art. Whether this series does well or not will depend on the readers curiosity in the European sword art.